I can’t recall where I heard about this book but I requested it right away from the library. 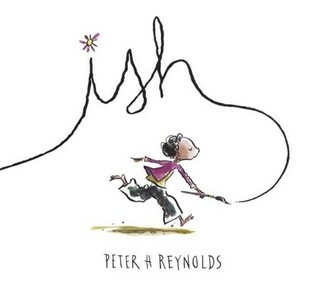 Ish is such a cute story for the kiddos and both 5 yr old and 2 yr old loved it! Ramon is a boy who loves to draw. He draws all the time and everywhere (my kids love that he even draws while on the potty). One day his older brother laughs at his drawing because it doesn’t look like the vase of flowers he was drying. Ramon feels so bad that he starts to crumple up all his drawings because they don’t look “right”. He’s about to give up drawing when he catches his little sister snagging one of his crumpled drawings and chases her into her room. There is is stunned to find her walls plastered with his discarded drawings. She mentions that the vase of flowers is one of her favorites and he complains that it doesn’t look like a vase though. She tells him no but it looks vase-ish! 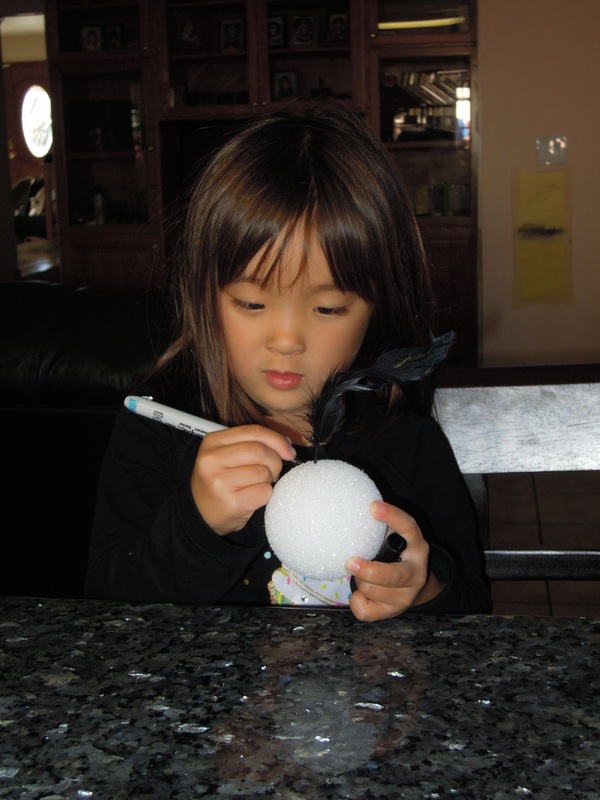 This revelation frees his creativity again as he embarks on an ish drawing journey. Not only does he draw things that are fish-ish and sunset-ish but also feelings like “peace-ish” and even starts to write poem-ish poems. By the end my kids were cracking up over all the ish drawings. 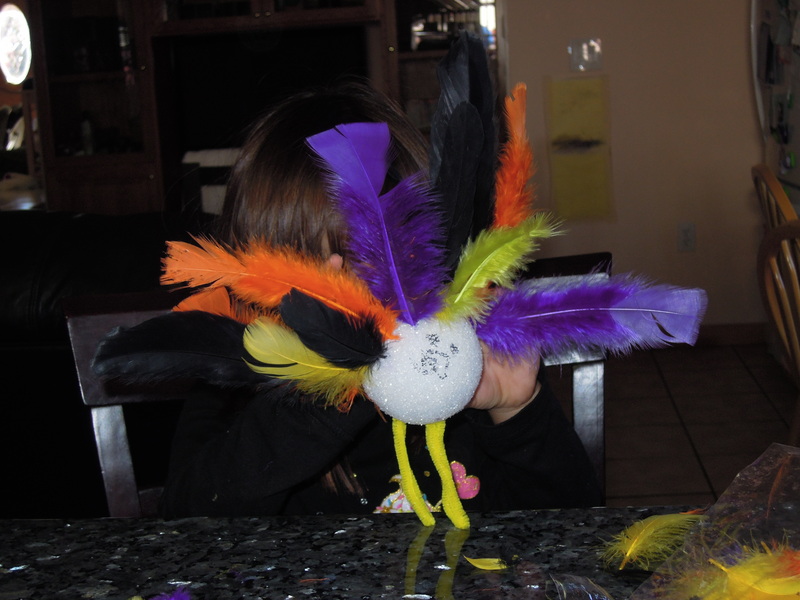 It also helped when my 5 yr old would get frustrated over her own drawings I would mention they look house-ish or bird-ish and she would giggle and be okay with her drawings. 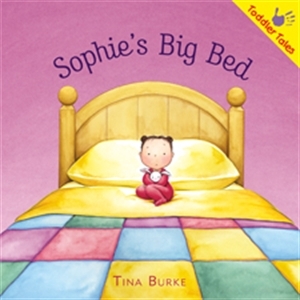 This is a wonderful book to encourage kids to keep their creative juices flowing. With my email being flooded with the Black Friday ad scans I have started thinking about what to give the kids. A lot of my friends have mentioned how many toys their kids have and how they really don’t want to get any more toys. So I figured why not get them some new books? 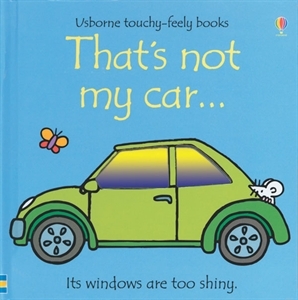 They are both educational and fun plus the Usborne books quality are so much better than most other books and have held up well from all the abuse from my 5 yr old and 2 yr old. Here are some of the latest books that have become favorites in our house. 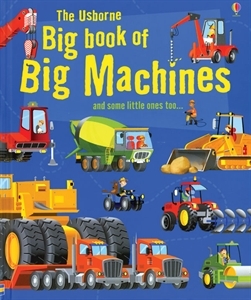 Big Book of Big Machines: my 5 yr old was a bit disappointed that this book didn’t have the flaps like the See Inside and Look Inside books but my 2 yr old can’t get enough of it. He is a huge fan of construction trucks, airplanes, etc. so he loves going through this book and talking about all the machines. There are a couple pages that fold out to show some big planes which is neat. 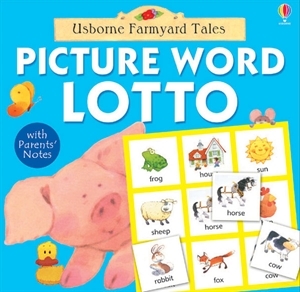 I’ve found my son a number of times sitting somewhere flipping through this book and “reading” it to himself. See Inside Your Body: this is one of my 5 yr olds favorites. It was one of the first non-fiction books I purchased from Usborne back in May or June and we still go back to it. The first thing that appealed to the kids were of course the flaps. There are over 50 flaps throughout the book but the other neat thing was just learning about your body. Each set of facing pages covered a part of the body like your muscles, your bones, your senses, etc. 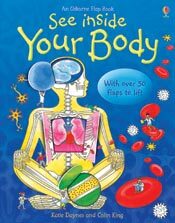 You learn about what red blood cells are and how they help your body, how your brain tells your hand to swat a fly, etc. 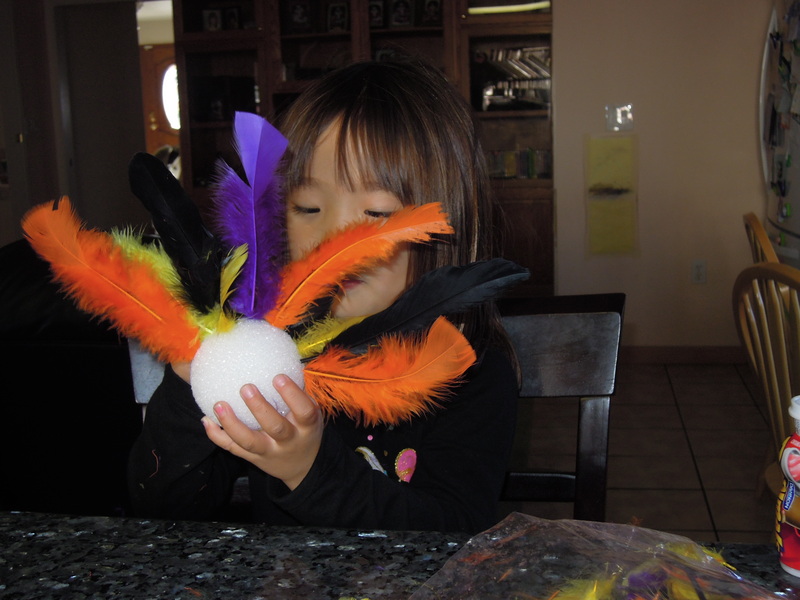 It’s fascinating for both kids and adults and will keep you busy for a long time. 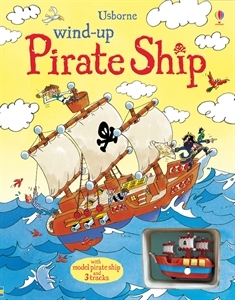 Wind-Up Pirate Ship: I earned this book a few months ago and am glad I did because I normally would not have bought it myself and it’s a wonderful book. 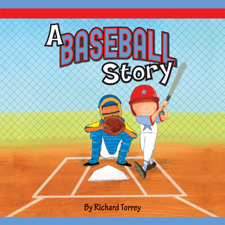 There is a story but the thing that my kids both loved about it was the windup toy that came with it. There are pages throughout the book that have groves cut out so that you can wind up the boat and let it travel along the page. One was a treasure map and the kids loved seeing where on the map their boat would stop. Would it be in the shark pool? On a deserted island? For those worried about losing the toy the book is designed with a plastic covering that fits around the boat and when you close the book it holds the boat in. I’m debating getting the train wind-up book for my 2 yr old for Christmas since the kids love this book so much. 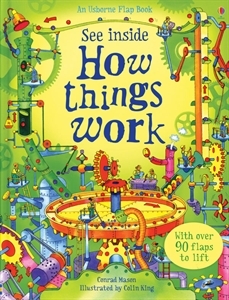 See Inside How Things Work: this is another book in the See Inside series that have interesting facts and a ton of flaps for the kids to lift. The most surprising thing about this one is that my 2 yr old has taken to bringing it to me each night for bed time. It’s listed as for 7 yr olds+ though I have found my 5 yr old enjoys them just fine. 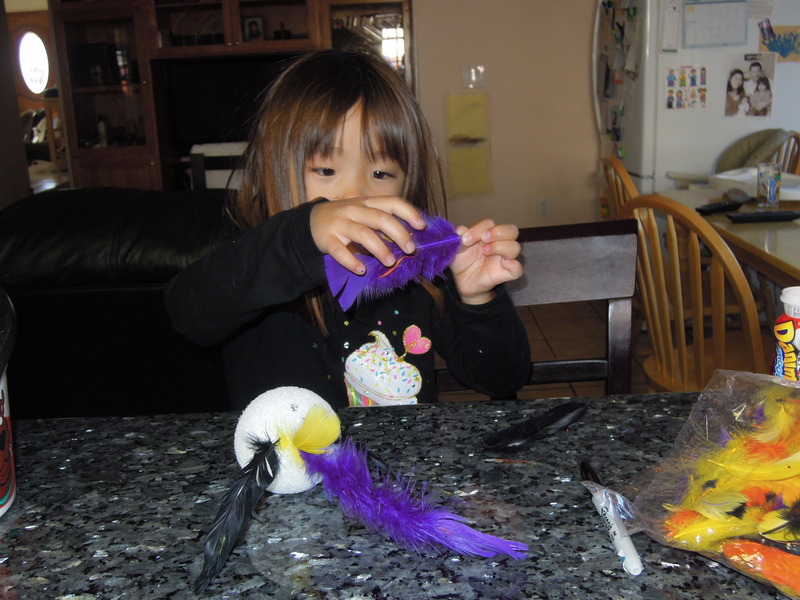 She enjoys describing to me now how each thing works like how airplane wings help it fly or how does velcro work. 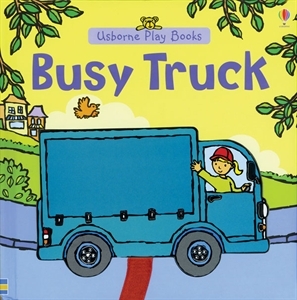 Busy Truck: this book is listed for 1 yr olds+ but my 2 yr old really enjoys it and even my 5 yr old comes and sits with us when we read it. 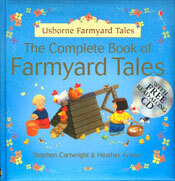 The truck you see on the cover is actually a thick cut out that is attached to the book by a red ribbon. As you read the book you move the truck along and fit it onto each page like a puzzle piece. When you get to the last page you have to flip the truck over to get it to fit into the slot and you see all things the truck has picked up along the way. 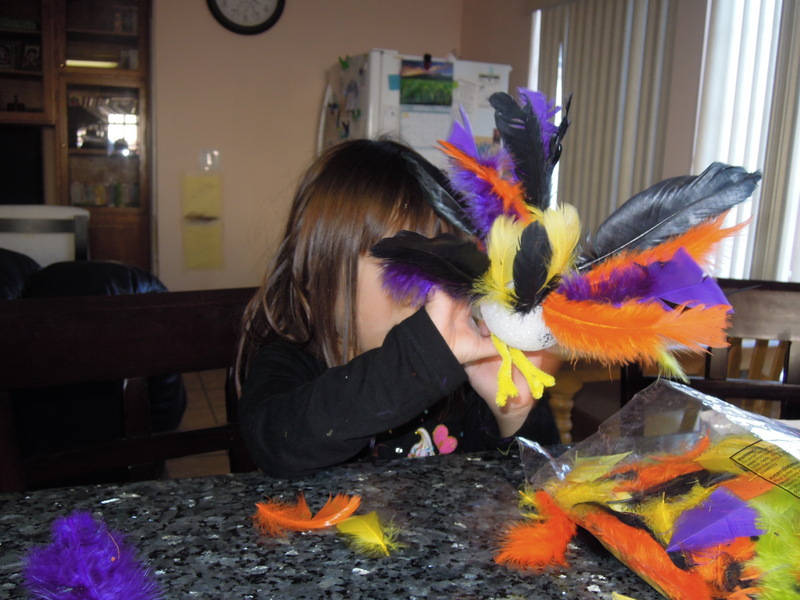 It’s a lot of fun and great for the kids manual dexterity. 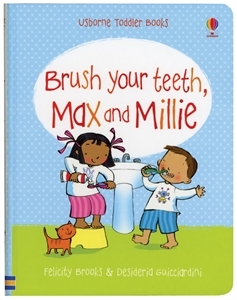 Brush Your Teeth, Max and Millie: this is just one of the books in the Max & Millie series and is my kids favorite. There’s a little clean teeth song and a catchy rhythm to brushing your teeth which my 2 yr old will sing while he brushes his teeth.